The Sunday Morning Huddle goes through each game and states what we’re looking to see from a dynasty perspective. 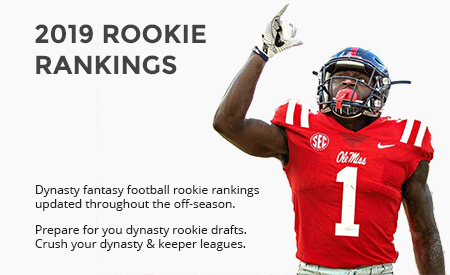 One player will be picked from each team who has dynasty value tied to the game – players at a pivot point where their value could increase or decrease based on opportunity and performance. Another week goes by, and another week where Marqise Lee looks like the most productive receiver for the Jaguars, fantasy owners should continue to take notice. Allen Robinson will continue to have his fans and likely be the most valuable receiver on the team, and that means that we have a window of opportunity in which to evaluate Lee and decide whether we want to invest in him or not. At this point, he looks like a buy to me, and I don’t see that changing against Houston. Another transcendent wide receiver from 2015, DeAndre Hopkins is continuing to tumble down the value boards this season due to a struggling quarterback. Given Brock Osweiler’s contract situation, it is hard to imagine things improving in the near future for Nuk. Still, he is a proven prospect inasmuch as he’s shown he can dominate at the NFL level in the past. His value is down, but he’s still a hold. Trevor is a Florida State and Ball State alumnus with degrees in Asian Studies and History. He forecasts service part demand for the auto industry and moonlights as a dynasty aficionado. His takes on fantasy are typically rooted in statistics, history, and metrics, but he is open to the occasional gut feeling. You can follow him @evorzan for tweets about football and the occasional video game or anime reference.